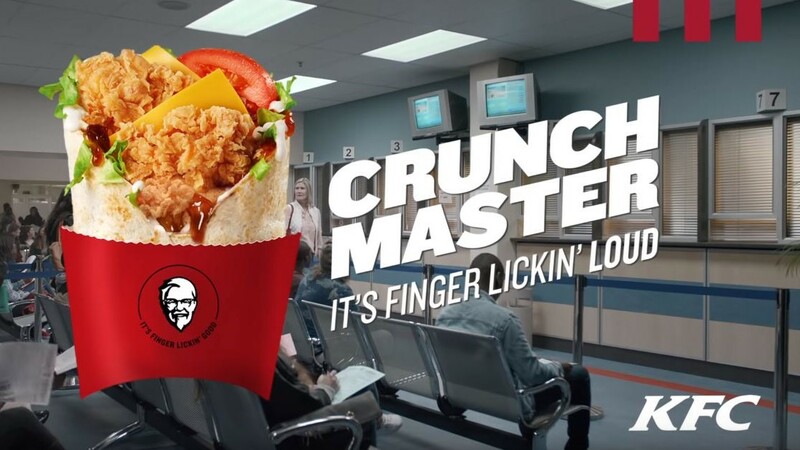 KFC South Africa, recently voted as the Best Consumer Brand in the Fast Food category of the 2018 Sunday Times Top Brands Awards, has released an ad for its new CrunchMaster. The ad shows two administrative clerks eating their CrunchMasters behind shut counter windows with a ‘back in 15 minutes’ sign. The ad, created by Ogilvy Cape Town and directed by Bruno Bossi from Carbon Films, is titled Huh?. “It is a funny idea told through satirical execution that every South African is familiar with,” says creative group head at Ogilvy & Mather Fuaad Kasu. “The story cannot be told without the product being at the centre of it, so it allowed us to tell a hilariously relatable story with the product featuring throughout the ad,” says art director Sibs Zinhle. For more information, visit www.kfc.co.za. You can also follow KFC South Africa on Facebook, Twitteror on Instagram.